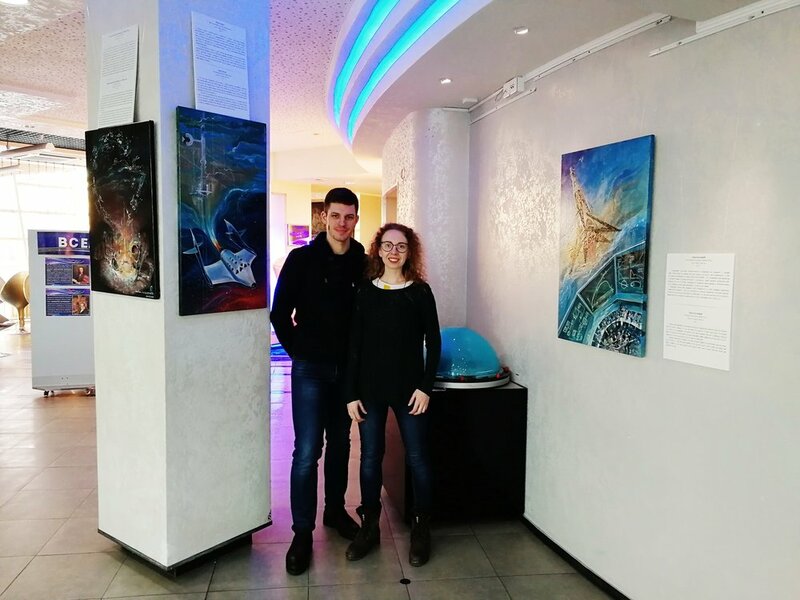 Today we opened my exhibition in the Novosibirsk Planetarium - nice educational center on the hill with the great view to the city. With my irreplaceable art-director on the photo. 12 paintings will be here until August; after that there will be 9 paintings, as 3 will be moved to another exhibition. One of the paintings you can see there. Yes, it's about Mars colonization! As you can see, the opening went well! Talked a bit about every painting after the opening speach. Also had a small autograph session. Also, I was invited to the local radio "Radio 54" and had fun chatted about my art and that we should all love space.